With two young children in the house, there’s never a dull moment. It’s constant action from the moment they wake up until their bed time. When I finally get them settled for the night I like to relax and unwind a little before heading to bed. Once I’m in bed, I cherish all the hours of sleep I can get before the madness starts again! Part of a good night’s sleep for me is having the right pillows on my bed. Since I’m always looking for ways to improve my sleep, I was happy to have the chance to review a pillow from Reverie, a company committed to helping their customers wake up rejuvenated, refreshed and ready to face the day! 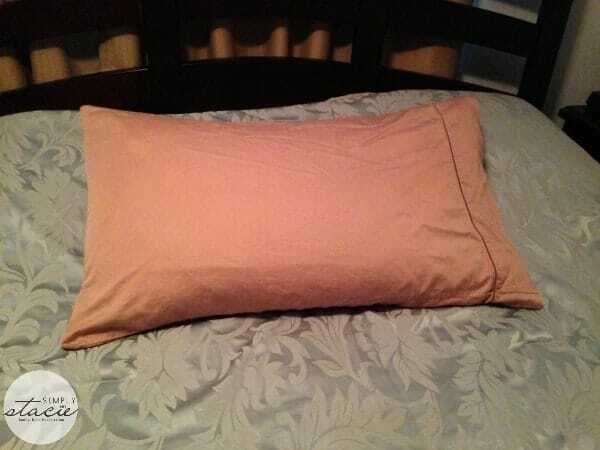 I received a Sweet Slumber pillow from Reverie for review. 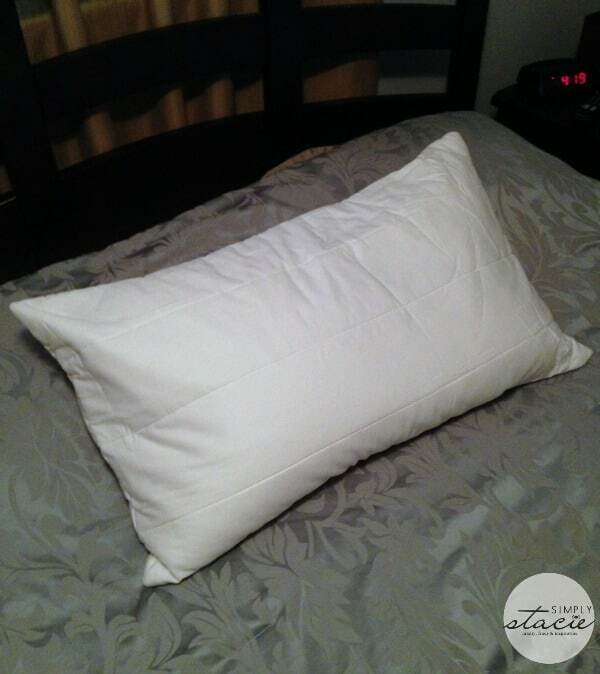 This down-alternative pillow is filled with shredded natural latex. It is hypo-allergenic, dust mite resistant, and has a 100% cotton cover that is removable and machine washable (always my favorite feature!). This pillow has a good weight to it – you can really feel the quality of the filling and I like that it’s more of a “sturdy” pillow. The filling is very supportive, and I think this is a great pillow if you’re a side-sleeper – it really kept my shoulders from sinking into the mattress and was very comfortable. My husband slept on it a few nights and feels the same way I do – that this pillow really gives great support throughout the night. This pillow comes in three sizes, standard, king and queen, and starts at $89 for the standard. It is available on the Reverie site as well as select retailers. Check out their retail locator to find a store near you that carries Reverie sleep products. 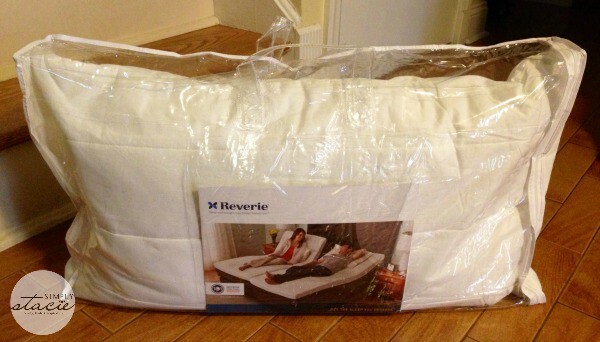 Founded in 2003, Reverie is a company committed to improving your life through good sleep. They are a leading manufacturer of adjustable foundations, mattresses, and pillows. They also carry a line of organic linens for your bed. They offer a white-glove service of free delivery and set up of your sleep system when you order directly from them and they give you 101 nights to decide if the sleep system they customize is right for you – if it’s not, they take it away and give you a 100% refund. To see all that Reverie has to offer, visit their website. You can also find them on Facebook, Twitter, YouTube, and their blog. I’m in the market for new pillow and really like the fact that this one come with a washable cover rather than having to purchase them all separately. I’m a side-sleeper. I totally like the sound of this pillow, especially the hypoallergenic part. Sounds like a great pillow. I am always on the look-out for the perfect pillow! Will check these out. I would love to have this pillow. I need a new one anyways and this pillow looks amazing. A good pillow is very important. You just can’t sleep with an uncomfortable one. I’m glad these work so well. I like the machine wash factor and always looking for good support. I just love getting a new pillow and I like this pillow because it has a removable cover that I can clean when it gets dirty. I like that it is allergy free which is so important in the bedroom! Oh this seems so nice. I would love to be able to pour decent money into a real good set of pillows! This looks like a nice pillow, I’d love to give it a try. Thank you for this review. I love the sounds of this pillow. I’m always in the search for new comfy pillows.